Austrian football is on the rise. More and more new talents are emerging, and one of the biggest is surely Sandi Lovric. 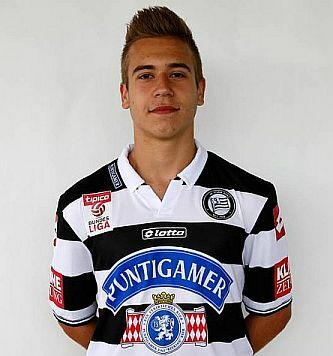 He joined Sturm Graz youth academy in 2012 from Rapid Lienz. He made his Austrian Bundesliga debut on 17 August 2014 in a 1-1 home draw against Austria Wien by coming on as a substitute for Marko Stanković in the stoppage time. He was the captain and leader of Austria national team at 2015 UEFA European Under-17 Championship, he scored a goal against Spain, but unfortunately young Austrians got knocked out already in the group stage.